India will face off against Pakistan on September 19. 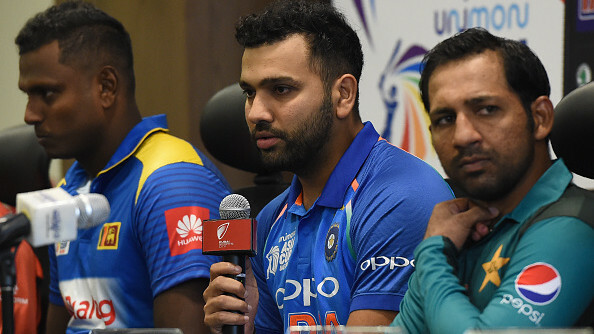 Indian Captain Rohit Sharma has said that he is, much like the world, looking forward to the upcoming India versus Pakistan clash in the latest edition of the Asia Cup in UAE. While India are due to begin their campaign with a game versus Hong Kong on September 18, it is the encounter against the arch-rivals on September 19 that everyone seems to be anticipating the most. This is where Pakistan's magnificent victory against India in the Champions Trophy final last year, has only added spice and fire to the occasion. "It is always exciting to play Pakistan. They are a great nation. They have been playing good cricket, off late. 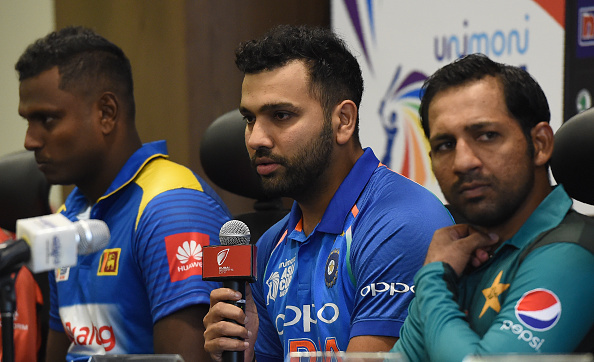 We are looking forward to that clash," said Rohit speaking at the captains' press conference on Friday, September 14. Although he added, "but again there are other teams here as well who are eying for the title. The games played here will be quite competitive. The focus should be on the whole tournament as everyone is here for the title,"
He further reiterated the challenge of heat and humidity that the teams will face in UAE and said, "Climate is not so pleasant for sure. Exactly the reason we wanted to come a little earlier and get accustomed to the conditions." Rohit also thinks that the Asia Cup is a great opportunity for India to further understand their best combination going into the World Cup next year. He said, "In a way, you can say that. Every team wants to go to the World Cup in a good frame of mind. But we shouldn't be looking too far ahead. Obviously, the Asia Cup gives every team an opportunity to get the combination right before the World Cup." Speaking specifically about the challenge of facing some really good Asian sides across two weeks in tough conditions, Rohit felt, "I won't understand how Angie (Angelo Mathews), Sarfraz (Ahmed) or Mashrafe (Mortaza) are looking at it and what their strengths and weaknesses are. But as the tournament progresses, we will understand what teams are doing." "The World Cup is too far ahead. We will play a lot of games before that. A lot of players will get an opportunity to stake claim for a berth in that World Cup squad. It's a great opportunity to try for that perfect combination," he concluded.